Wipe your nose and dry your eyes! Natural allergy relief is safe and effective. Hay fever, or seasonal allergies, is caused by an immune response to allergens in the air. At this time of year, the snow melts and the grasses, weeds and trees start to bloom. This results in allergens becoming air-borne, and those who suffer from allergies flock to the pharmacy for relief. If you don’t like medications, they don’t work for you, or you are tired of simply masking your symptoms rather than curing the underlying problem, you will be interested to know that there are safe and effective alternatives. Try to limit your exposure to these allergens. If you still want to enjoy the fresh air, make sure you wash the allergens away often. 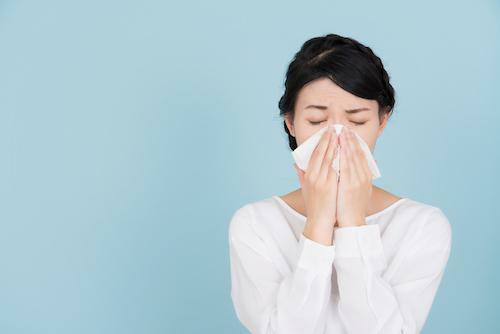 Wash your sheets and pillowcases, wash your hands and face, and you can even wash out your eyes with saline eye drops and your sinus passageways with a Neti Pot or NeilMed. These techniques will help you limit your exposure to the irritating allergens. Work on your terrain. There is ample evidence that your overall health and well-being play a role in the response of your immune system. When you are healthier, your immune system is less likely to over-react to allergens like mold and pollen. Over and over again I will say that a healthy diet, regular exercise, adequate sleep, and stress management are essential to your health. Take care of your body and your allergy symptoms just might get better, or even go away altogether. There are many beneficial supplements to take to help your allergies. Vitamin C and Quercetin are part of a family called bioflavonoids which help with allergies by strengthening the immune system and preventing the release of histamine from your cells. This is the most powerful benefit, in that histamine is what causes all of those horrible allergy symptoms. Unlike over-the-counter and prescription antihistamines that help degrade histamine once it is in the bloodstream, quercetin prevents the cells from exploding histamine in the first place. Bromelain, an enzyme derived from pineapple, is also helpful in treating allergies. Bromelain is anti-inflammatory and can reduce the amount of swelling in the sinuses and nasal passages. NAC is a potent antioxidant that also thins mucus in the air passageways. The formula that I have found most clinically effective is Natural D-Hist from Ortho Molecular. This supplement contains all of the above nutrients and is great to take during your allergy season. Come by the Vail Valley Pharmacy to pick up a bottle today. If you live out of our area, call us at The Supplement Boutique 970-390-7278 to set up an account and we will send you a bottle.